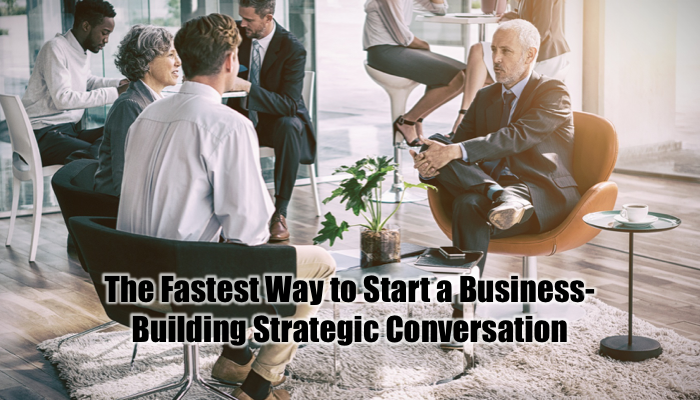 Strategic conversations always lead to business success, whereas tactical conversations can lead nowhere. Why? Because most people focus on the tactical elements, where there’s lots of competition and not much margin. It’s also where you find people who can say no, but can’t say yes. Instead, strategic conversations lead to business because the only people who want to talk with you are those who can write checks and make real decisions. 1) Talk about industry trends. Identify and discuss the technology, psychology, policy, and financial impacts and implications on the future of your customer. Focus on what’s coming and why. 2) Talk about the opportunities that can be exploited. Discuss how they can turn trends into profit. 3) Talk about what their best customers are asking. Look for ways to improve their customer satisfaction, mindshare, and wallet share, both proactively and preemptively. 1) Talk about saving money. This tactical conversation has the lowest return on investment because the upper value limit is what they’re spending now. 2) Talk about saving time. The limit on time savings is bounded by automating a specific task to zero time. Executives outsource this conversation to their tactical team. 3) Talk about how your technology works. Technology knowledge is ephemeral, with a useful lifespan of about 18 months. Using a timekeeping metaphor: focus on how to make money telling time instead of talking about how you make the watch. If you’ve made it this far, please Like, Comment, and Share.